Kellogg’s. C’mon. Get with it. In the last several years, GlutenFreePDX has run this blog with the thought of informing people about all things gluten-free. And in all of that time, the VERY MOST referenced article includes the keywords “Is Crispix Gluten Free?” The simple answer is no. It’s not. We get this query every single day. This isn’t an article we are happy to write, it’s out of pure frustration. One of the biggest cereal makers in the world is sitting on its hands. And they’re sitting on a potential goldmine. 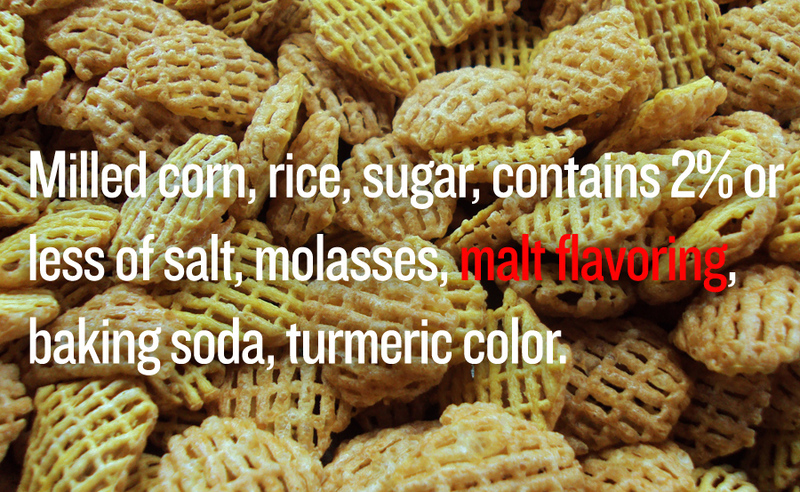 Here are the ingredients in Crispix, a seemingly safe food for those of us who need to eat gluten-free: Milled corn, rice, sugar, contains 2% or less of salt, molasses, malt flavoring, baking soda, turmeric color. The only thing in that list that is not naturally gluten is malt flavoring. And Kellogg’s is trying to tell us that with all of their billions of dollars, their fancy scientific kitchens and squadrons of food engineers, they can’t alter the recipe in the very slightest to reach a much bigger audience? We are calling bulls**t. Indeed, they made a small amount of headway this year by introducing gluten-free Rice Krispies, but we’re talking about a company with billions in profits, able to reach thousands of grocery stores around the country. We expect a company with hundreds and hundreds of products to offer more than one cereal without gluten in it. On that note, a classic product like Corn Flakes could also be made gluten-free with just the change of one ingredient. Along with this post, we are going to be sending a letter to Kellogg’s, asking them why their company is so reluctant to enter into the gluten-free market. We are hoping that some consumer pressure will add some momentum to their product development, and let them know that as consumers, we vote with our dollars. We encourage you to do the same. This entry was posted in Culture, Health, Ingredients, Labeling, News, Politics, Uncategorized and tagged cereals gluten free, Crispix, Crispix is not gluten free, Kellogg's, Kellogg's not gluten free, Malt flavoring on December 23, 2011 by glutenfreepdx. Sure they could leave out the offending ingredient but why? Why would Kelloggs want to enter the gluten free market? A possibility of cross contamination means a law-suit waiting to happen. I’m sorry for the answer but in free enterprise, the bottom dollar is what matters. Well, they can use that cynical mindset, but watch as competitors like General Mills are eating their lunch (or breakfast!). There are now 6 flavors of gluten-free Chex, tons of new companies popping up, and the gluten-free industry is now a multi-billion dollar yearly market. The bottom dollar only matters if you make it your priority. Bob’s Red Mill is a great example of a company that puts product and people way before profit. Not sure if they changed the ingredients or are just being deceptive and hiding the Malt Flavoring, but the listed ingredients on Crispix is now: “Rice, Milled Corn, Sugar, Contains 2% or less of salt, molasses, brown rice syrup, baking soda, turmeric extract color” I am guessing the type of brown rice syrup, or baking soda is not gluten free, or they would certainly market the gluten free aspect but…boy they don’t make it easy. Giant grocery store has a store-brand Crispix called Crispers. Crispers is gluten free, and tastes just like Crispix. So, if any of your readers live in an area where Giant is nearby, they could easily go with the much cheaper and GF alternative. Awesome, thanks for this tip! The store-brand Crispix at Meijer are called “Crunchy Corn & Rice” and are gluten free. In your article did you mean to say “The only thing on the list that is not naturally gluten-free is malt flavoring”? The Crispix I have does not have malt flavoring in the ingredients.